Italy - G.S. Allegra wins the 14th edition of the European Champions' Cup. In the final they beat the dutch team BC'T Onstein (114-38); bronze medal goes to the english team EBU. 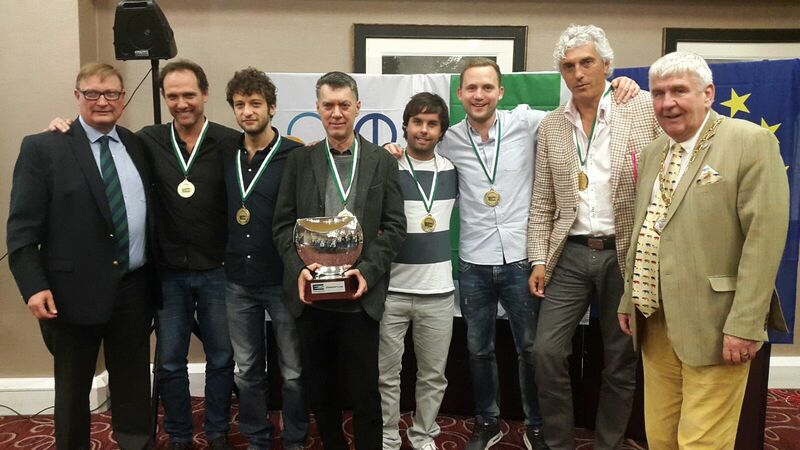 Congratulations to Alejandro Bianchedi, Dennis Bilde, Norberto Bocchi, Massimiliano Di Franco, Giorgio Duboin, Agustin Madala, Massimo Ortensi (coach) and Maria Teresa Lavazza (npc).